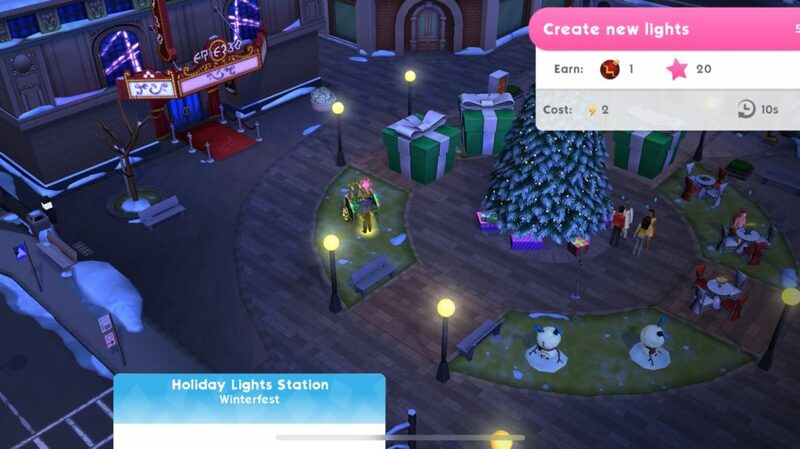 The Sims Mobile’s Winterfest Event has added more than just new items, a huge quest and prizes that you can win as you play through the event. 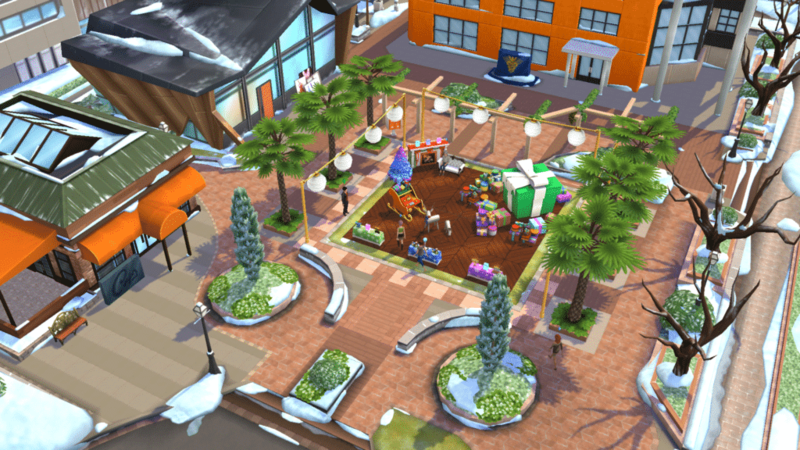 All of the Neighborhoods (excluding your Home Neighborhood) have received a Holiday Update with new items that come with loads of interactions and options. All of the areas that you can see down below feature at least a few items that you can unlock through the Winterfest Event. However, there are a few items exclusive for Neighborhoods. 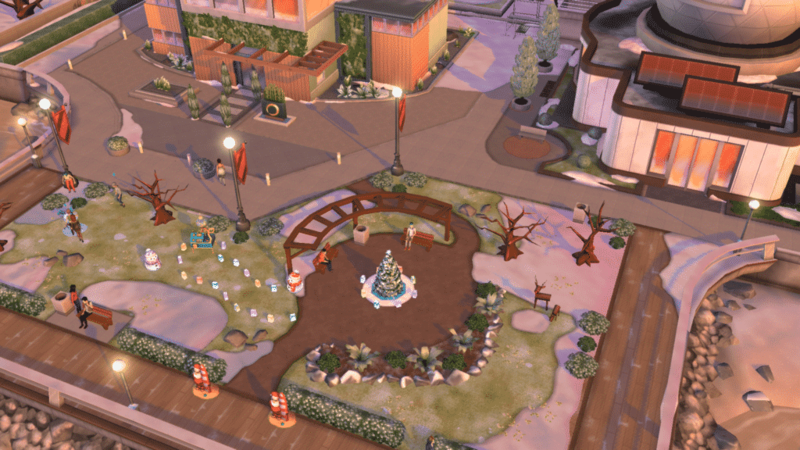 For example – the big Winterfest Tree placed in the Downtown Area. 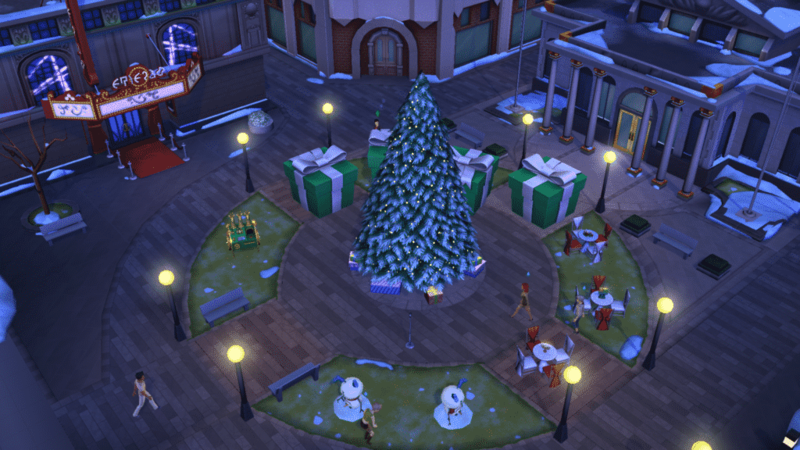 Speaking of the huge Winterfest Tree in the Downtown Area – it seems that there’s new gameplay attached to it. 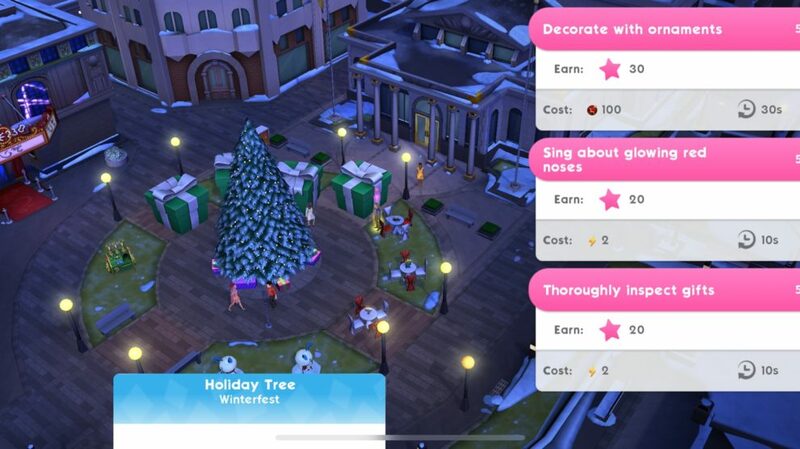 When starting the Winterfest Holiday Party Event you’ll be able to access new interactions including interactions that give you special Ornament Tokens and the “Decorate with ornaments” interaction. I haven’t gotten a chance to see what this interaction does just yet considering that it requires 100 Holiday Ornament Tokens in order to unlock this interaction. However I can only assume that it will give a permanent redesign with colorful ornaments and holiday details. 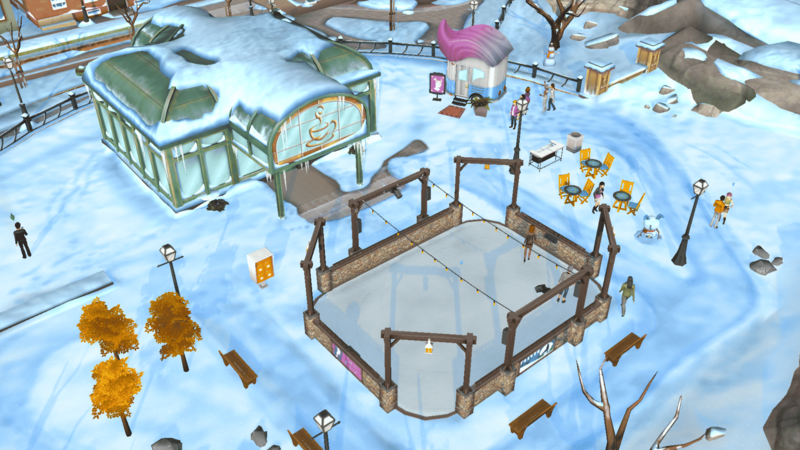 You can gain Holiday Ornaments through the Winterfest Event Interactions, such as the one seen on the second screen. How to take screenshots without user interface like you did? Probably zoom out first, take the screenshot, and then crop everything out.